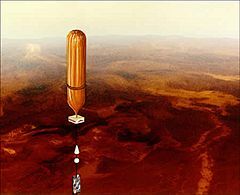 Research balloon flying above the surface of Venus. Research is the process of solving problems and finding facts in an organised way. Research is done by using what is known (if anything), and building on it. Additional knowledge can be got by proving (or falsifying) existing theories, and by trying to better explain observations. Research should be systematic, organized and objective. Researchers take part in field or laboratory experiments, reading relevant books, journals or websites, taking notes and making conclusions. Teaching and lecturing is only part of the job of a professor or researcher. When they are not directly teaching classes they are often working on academic research. Learning institutions can vary widely in what they expect from members of their faculty. Most expect faculty members to set up their own laboratories. They hire their own lab employees and obtain their own funding, often from more than one source. Academic researchers often compete for grants to fund research at their own university. The more money researchers can attract, the higher the prestige of that university. The scientific method is the usual way of doing this kind of research. It is meant to improve understanding of biology, engineering, physics, chemistry and many other fields. With this kind of research, scientists can understand the world, and discover useful things. Money for research comes from governments, private corporations, and charities. Some of these organizations combine research and development of new products and ways of doing their work. Systematic: from an hypothesis or working objective, scientists gather data according to a scheme set out in advance. From this scientists change ideas or add new knowledge to that already existing. The approach used in research is the scientific method. Organized: members of a research group use the same definitions, standards and principles. To achieve this, the research is planned in detail. Objective: conclusions got from research must be based on observed and measured facts, not on subjective impressions. The conclusions should be unbiased. Studying available information on the subject. Interpreting the results with the current knowledge, considering the variables which might have influenced the result. Basic research, also called fundamental research or pure research, aims to understand nature. 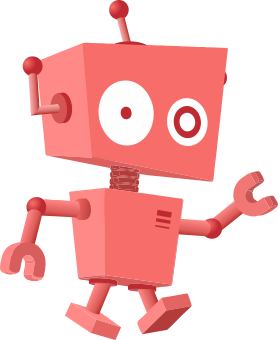 Applied research aims at using the new knowledge to do something. Research must be published so the world can learn from it. Nature, Science and Proceedings of the Royal Society, are general scientific journals. Many special journals are published. German historian Leopold von Ranke (1795-1886), considered to be one of the founders of modern source-based history. Research Facts for Kids. Kiddle Encyclopedia.